Running multiple data centers can be costly and complex. While using shared WAN links is a viable option for cutting costs, many organizations would rather incur the additional expense of private lines than sacrifice performance. 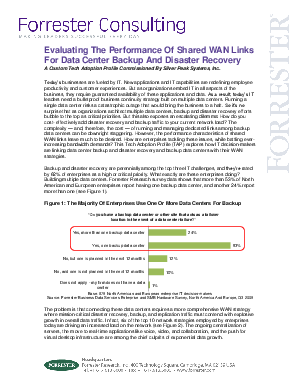 This resource details the challenges of sharing WAN links and explores how WAN optimization – which employs a set of technologies to improve the bandwidth, latency, and loss characteristics of WAN links – can help you achieve the private line performance you need without the high price tag.